Look like This is my next, has some dirt on the the next iteration of Honeycomb. Apparently Android 3.2, the last update for Honeycome before Ice Cream Sandwich, will feature mostly bug fixes and optimization for existing 10.1 tablets with Tegra 2 SoCs. But an important part of this update will be applied to pre-Honeycomb 7-inch tablets as well as upcoming 7-inch tablets. 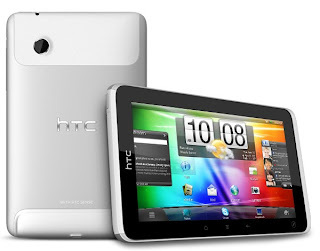 This update will be important to people who took the plunge for the HTC Flyer as the update is suppose to add support for "various resolutions" as well as Qualcomm SoCs which both factors set the Flyer apart from current Android Tablets. The same can't assured for the original Samsung Galaxy Tab as it uses a Samsung Hummingbird processor, but we can only hope it will also get the same treatment.